Indian Ring-Necked Parakeet Personality, Food & Care – Pet Birds by Lafeber Co. The Indian ring-necked parakeet is not a shy bird, and does best with an owner who appreciates an outgoing companion that is not afraid to demand what it wants! Indian ring-necks can also be quite talkative. The Indian ring-neck’s scientific name Krameri is a tribute to Wilhem Heinrich Kramer, an 18th Century German physician and naturalist. The Indian ring-necked parakeet, also called the rose-winged parakeet, has been kept as a pet for centuries and remains a favorite companion bird today. A devoted owner will do best with this temperamental bird that requires a great deal of attention to remain tame. However, the Indian ring-necked will charm and delight the person who takes the time to appreciate its other qualities — a playful exuberance and a remarkable talking ability. As its name suggests, the Indian ring-necked parakeet originates from India, where it is still found wild in great quantities, even in urban areas. Indian ring-necked parakeets are sensitive birds that need lots of play time and time out of the cage to remain happy; if not, expect your bird to develop neurotic disorders that many be very difficult to reverse. Because of the long tail, Indian ring necks need a larger cage than another bird of the same relative size. Ring necks love their toys, and will hang on them and toss them around the cage, so be sure to have lots of toys on hand to replace the ones your bird destroys — this type of destruction is a normal, healthy part of being a companion bird. If you can handle a good deal of chattering, some of it ear-piercing, and you have the time and energy to spend with this beautiful bird, consider welcoming an Indian ring-necked parakeet into your family. Indian ring necks tend to have good appetites. As with any bird, make sure to feed a balanced, nutritious diet that includes pellets, fruit, veggies, and healthy table foods. 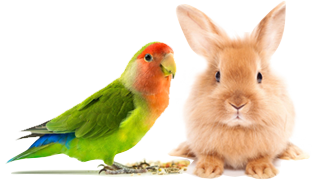 This way you can be sure that your bird is nourished and will not become bored with his diet. Nutri-Berries, Avi-Cakes, and Premium Daily Diet are some of the Lafeber foods that offer optimum nutrition that encourages interaction. These birds are reported to live for more than 30 years. Indian ring-necked parakeets can make sweet, tame pets but will not remain so if neglected. If played with every single day, these birds can be loving, loyal companions. If neglected, you can have a biter on your hands. These might not be the best birds for children, as ring necks tend to be sensitive to commotion, including night frights (thrashing around the cage during the night as if startled). Ring-necked parakeets are not shy birds, and will do best with an owner who appreciates an outgoing companion that is not afraid to demand what it wants! These are chatty birds, especially when they learn to talk. You may delight in hearing your Indian ring-necked says its first few words, and then shortly realize that he won’t shut up! Be careful what you teach him, because you will be hearing it loudly and often for many, many years. They are great whistlers too, but try to teach words and phrases before whistling, or your bird may fancy whistling over talking and never learn many words. Indian ring-necked parakeets are relatively healthy birds; however they are susceptible to Polyomavirus, pssitacosis, apergillosis and bacterial infections. Indian ring-necked parakeets are excellent fliers and are capable of flying even after a recent wing-feather trim, so time outdoors should be in a harness or in a travel carrier to prevent them from flying away. Indian ring-necked parakeets can be found in pet stores, avian-specialty stores and from bird breeders. They are also sometimes available for adoption from avian-rescue organizations. The Indian ring-necked parakeet is 16 inches long and is available in a variety of mutations stemming from the nominate green bird, including blue, yellow, pied, albino and others. This bird is dimorphic, meaning that there are visible differences between the sexes. The males of this species have a distinct ring around the neck at maturity, making them easily discernible from females. Dimorphism is great for breeders, as no mistake can be made as to who’s who in the couple-this makes for easy pairing. The color of these birds is the most striking-it seems almost airbrushed on, so that you can hardly distinguish individual feathers.